Motorola Mobility is expected to unveil a Moto X4 smartphone later this year. While we still don't know exactly when the device should be officially announced, we now have some news about it. According to Venture Beat, the Moto X4 will be released on Google's Project Fi in the fourth quarter of the year - thus sometime in October, November, or December. For now, we don't know if the fourth quarter is also when the Moto X4 will be widely available via other channels. However, it's quite possible that Motorola will start selling the handset earlier than that. Google itself confirmed that a "device at a mid-tier price" would be launched on Project Fi later this year, although it didn't specifically mention the Moto X4. Rumors have it that the Motorola Moto X4 will be a metal-made mid-range smartphone powered by a Qualcomm Snapdragon 660 processor. The handset should be water-resistant, further featuring a 5.2-inch (or 5.5-inch) screen, 4 GB of RAM, and a 3800 mAh battery. 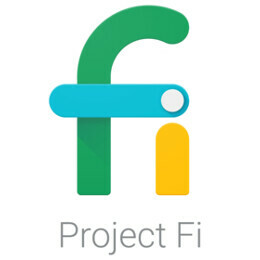 Initially launched in 2015, Project Fi is Google's own mobile virtual network operator (MVNO). It relies on the networks of T-Mobile, Sprint, and US Cellular, as well as on Wi-Fi hotspots to provide services. Currently, only Google-branded smartphones (Pixel, or Nexus in the past) are sold by Project Fi. 5.2" screen, how many times are you all gonna keep saying 5.5"? Look at the same leaked slides that you all featured, it's 5.2"